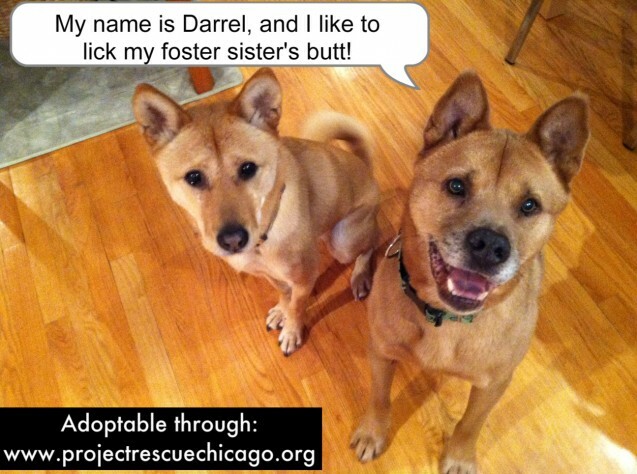 Darrel loves his foster sister…and isn’t shy about showing it!! Darrel is available for adoption through Project rescue Chicago in Chicago, IL. He is a 5 year old Akita/Shiba Inu mix, housebroken, crate trained, and great on walks. He’s gentle, loving, polite, and outgoing with dogs of all sizes and humans of all ages. Darrel should go to a home with other dogs since he loves them so much and does best with a buddy! Posted February 8th, 2013 . He’s so cute! 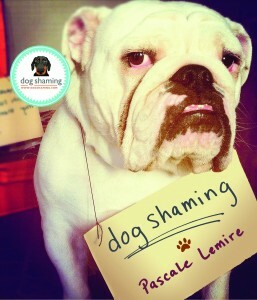 Makes me wish I wasn’t at my limit for number of dogs in the house! Same here! We don’t live in Chicago, but my husband’s family is there. I’m trying to convince them to foster him for us until our lease is up and we can buy! Lots of land around us! TMI, Darryl. Sniffing is different. So cute! what kind of dog are they?